I am back from a bit of a break and have been doing some solar monitoring projects using flow meters. The benefit of the flow meter is it allows you to do an energy calculation and determine just how much energy the solar panels are saving you. Up until now I have been working on measuring the glycol energy, and the glycol uses a constant flow rate. 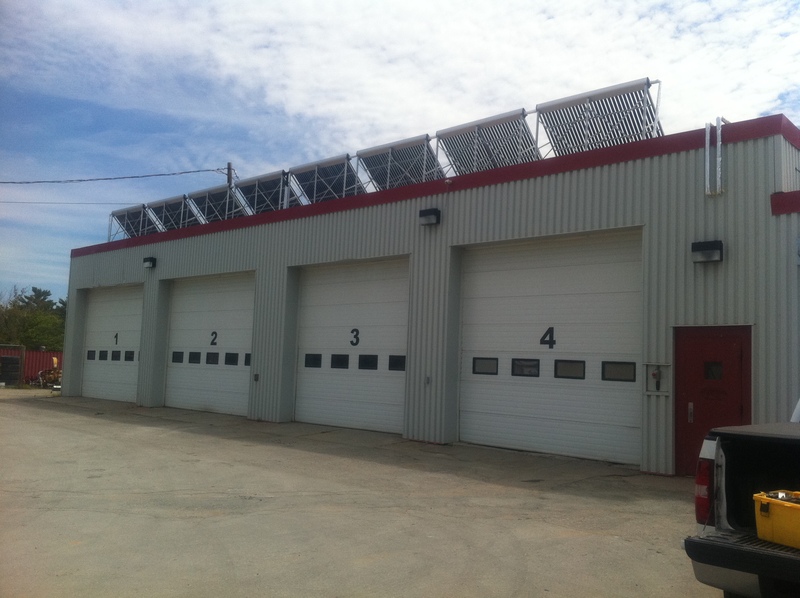 The water side of the system is different because the flow is based on the buildings hot water demand. Without a flow meter or an estimated flow rate all you are really doing is measuring temperatures. 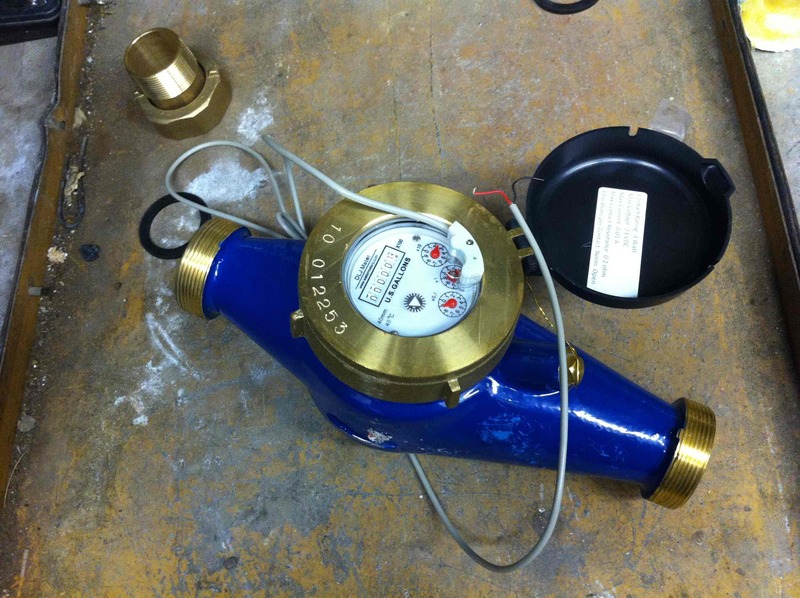 Flow meters work by sending an electric pulse every time a specific volume of fluid passes them. Most give one pulse per gallon or one pulse per 10 gallons. 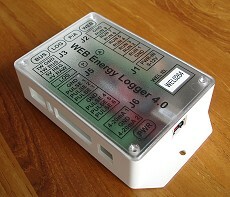 The Web Energy Logger (WEL) counts how many of these pulses you receive each minute. You can easily scale this value with the WEL’s programming to whatever engineering units you want. I prefer liters per second. Once you have the WEL measuring the flow properly you can move on to the energy calculations. You can also calculate the total heating required by the building by measuring the temperature differential between the cold water supply and the final hot water on the outlet of the furnace. You apply the same formula as the solar output but using the new temperature differential. The total heating value can be used to calculate the percentage of the total water heating load that the solar system is able to meet. This percentage is known as the solar fraction. If you are monitoring an active solar system (one that uses electricity to run) then you will need to subtract the electrical energy used by the pump and control system from the solar output to get a fair representation of how much you are indeed saving. In most cases the equipment will use a minimal amount of energy but it is important to factor it in because over the course of the year it does add up. Once you have the WEL calculating these values you can start logging daily, monthly, and annual totals. This will provide great insight into the effectiveness of your solar thermal system. It is important to note that without measurement you can never be sure that the system is working even if it is brand new. The math formulas and calculations for monitoring solar systems might seem a little tedious at first but before long it will become old hat. Today I installed a web energy logger on a solar thermal system in Halifax. The system is in a large multi-floor residential building. The entire process took about 3 hours, which is a new record for me. 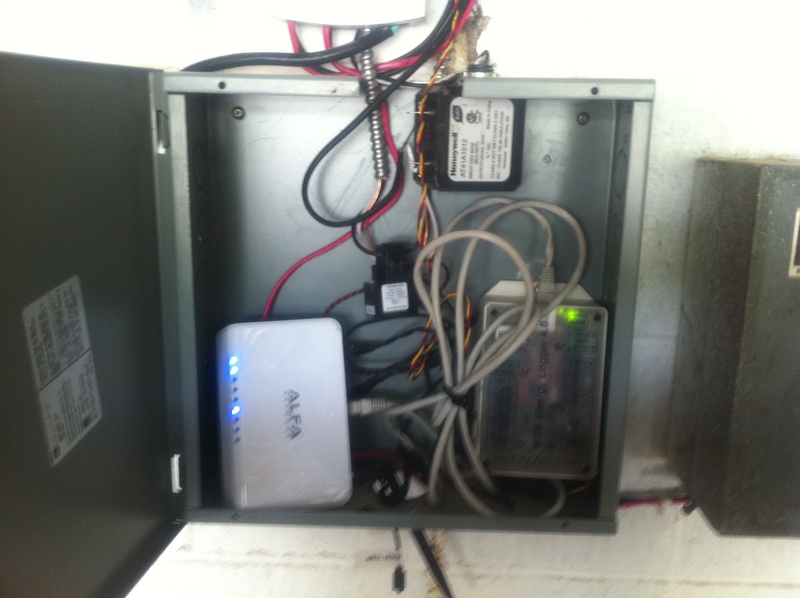 The solar data logging system installed has 5 temperature sensors and a current switch to detect if the pump is on. With this setup we are able to calculate the amount of energy that the solar panels are able to extract from the sun and supply to the glycol. The data logger will provide real time data once each minute as well as log the data to a .csv file for analysis at a later time. It connects to the WEL Server (www.welserver.com) to transmit the data over the internet. The limitation of this data logging system configuration is that it is unable to calculate how much of that energy is actually transferred to the water. Since the solar system was already installed prior to the decision to add a data logger, it does not have electronic pulse flow meters. Flow meters connected to the data logger would allow for accurate calculations of the energy supplied to residents and the savings on the buildings power bill associated with that energy. 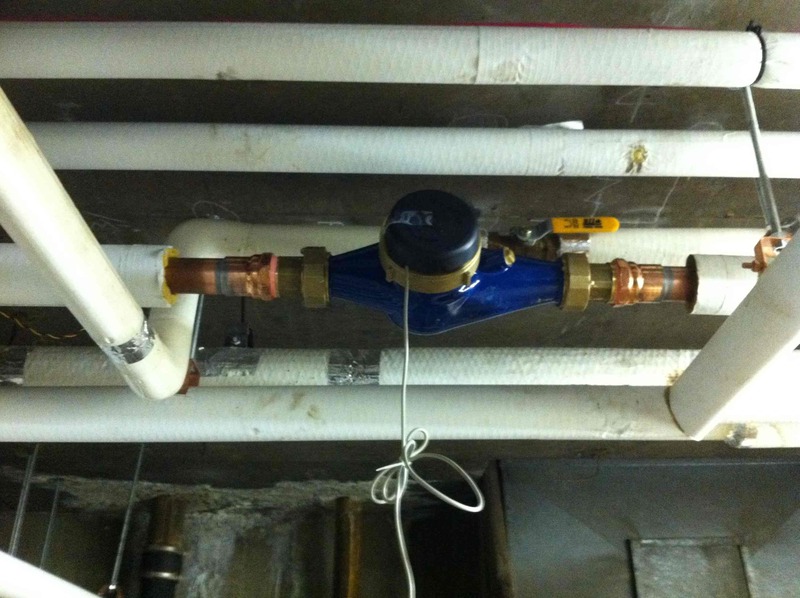 The decision to go back and install pulse flow meters will rest with the building owner. The WEL is a low cost but effective data logger that can be used to monitor energy use or generation. 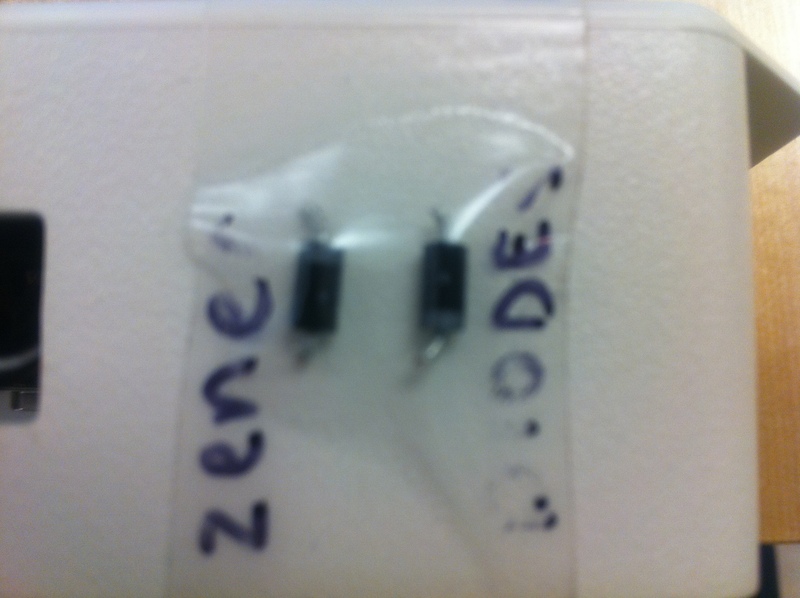 It contains a one wire bus that allows digital sensors to be strung along like christmas tree lights. It also contains 6 pulse inputs, 8 run inputs, and 2 4-20 mA analog inputs. 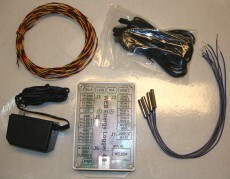 Pulse sensors return an electronic pulse signal and applications may include paddlewheel flow meters for water flow. The digital pulses can be counted and converted into a volume flow rate. Run sensors tell you if the device connected is on or not. 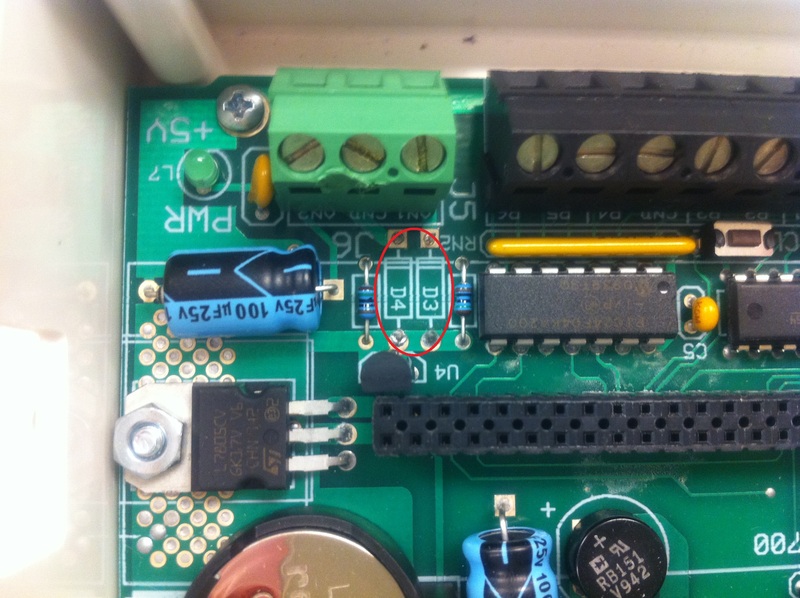 Current switches can be installed over power cables to current and return an on/off signal. 4-20 mA sensors send a mA current signal that can be scaled into engineering units. Inside the WEL you are allowed 150 variables. These can be sensor inputs, constants, or simple expressions of other variables. The WEL has limited internal memory so it is limited to simple 2 variable expressions and is not capable of doing exponents or square roots. That being said most energy calculations can still be performed inside the WEL. It also has support built in to maintain running totals for the day, month, or year of any variable. The WEL uses a rabbit board network chip to connect to the internet and transmit the data. It can be set to log data at any frequency, entered in minutes. By default it connects to the WELserver (http://www.welserver.com). This webpage contains a map of the world with all the other WEL’s shown on it. It is a great tool because it allows you to not only monitor your system, but see how others are doing as well. With some ingenuity you can connect the WEL to your own server to record and present the data there. The WEL posts data that can be received by a simple CGI or PHP script. 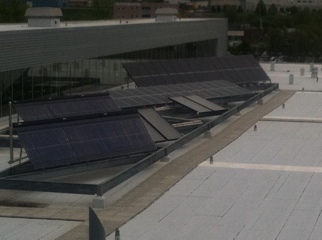 Typical WEL applications include monitoring of geothermal, solar thermal, solar photovoltaic, and energy use. The WEL is diverse enough to be used in other applications as well. A device called the WattNode (http://www.ccontrolsys.com/w/Advanced_Pulse_WattNode) must be added if you want to measure alternating current.